Commemorating the Russian imperial couple’s 1896 state visit to France, depicting the Tsar and Tsarina facing right, he in military uniform, she wearing a kokoshnik (Russian headdress), inscribed NICOLAS II and ALEXANDRA, the reverse inscribed VISITE EN FRANCE DE LEURS MAJESTES L’EMPEREUR ET L’IMPERATRICE DE RUSSIE CHERBOURG PARIS CHALONS 5-9 OCTOBRE 1896, below the conjoined emblems of the Russian Imperial court and the French Republic. 2 3/4 in. (7 cm) diam. 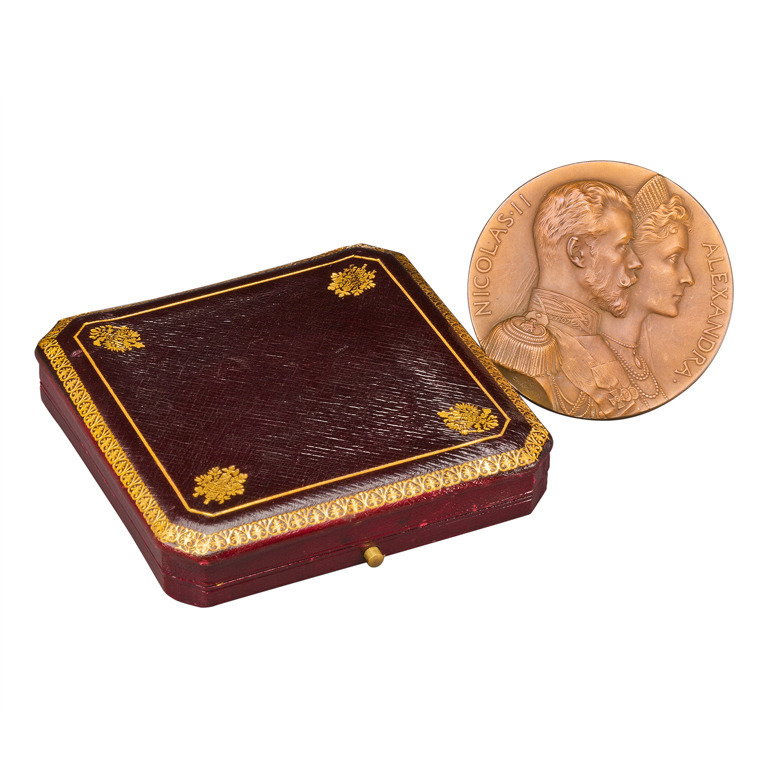 In original morocco leather presentation box, the top embossed on the corners with gilded emblems of each country.